We found 140 open box, clearance, and sales items from Dyson - Open Box - DC65 Animal Complete Bagless Upright Vacuum - Gray/Fuchsia. We found 13 open box, clearance, and sales items from Dyson - Open Box - Cinetic Big Ball Animal + Allergy Bagless Upright Vacuum - Iron/Nickel. We found 0 open box, clearance, and sales items from Dyson - Open Box - Clearance DC41 Animal HEPA Bagless Upright Vacuum - Iron/Rich Royal Purple. 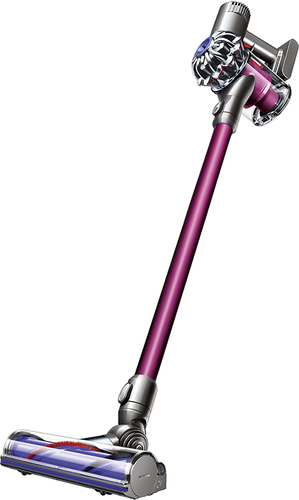 We found 30 open box, clearance, and sales items from Dyson - Open Box - DC59 Motorhead Bagless Cordless Vacuum - Nickel/Red/Fuchsia. We found 4 open box, clearance, and sales items from Dyson - Open Box - Clearance DC41 Multifloor Bagless Upright Vacuum - Iron/Silver. We found 51 open box, clearance, and sales items from Dyson - Open Box - AM07 Tower Fan - White/Silver. We found 21 open box, clearance, and sales items from Dyson - Open Box - Clearance Air Multiplier Pedestal Fan - Silver. We found 47 open box, clearance, and sales items from Dyson - Open Box - Ball Multi Floor Bagless Upright Vacuum - Iron/Yellow. We found 16 open box, clearance, and sales items from Dyson - Open Box - Cinetic Big Ball Animal Bagless Upright Vacuum - Iron/Purple. We found 6 open box, clearance, and sales items from Dyson - Open Box - DC40 Origin Bagless Upright Vacuum - Iron/Yellow.